We frequently get questions about the difference between the onshore (CNY) and offshore (CNH) renminbi market.Remember, the offshore renminbi came about as China began trying to internationalize its currency. As China began to open up its economy, it wanted its currency to be used in the international market to settle trade and financial transactions, without, however, fully opening up its capital account. Renminbi deposits continued to pick up with the launch of the trade settlement scheme in 2009–2010. The crucial thing about the offshore renminbi (referred to as CNH here on), is that it doesn’t fluctuate within a tight band like the onshore renminbi (CNY) and is free of Beijing’s control in that regard. The expectation that the renminbi would appreciate has been a key factor driving demand for CNH. 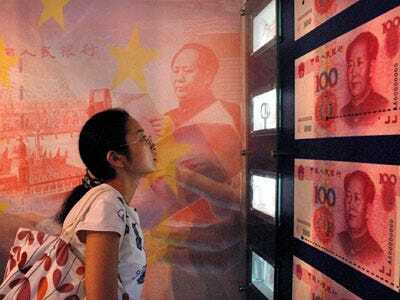 But Chinese state media has warned that a sharp renminbi appreciation is unlikely in 2013. Moreover, the gap between the CNH and CNY has narrowed. This is part of a broader feature on the renminbi that traced its evolution since the mid-’90s.